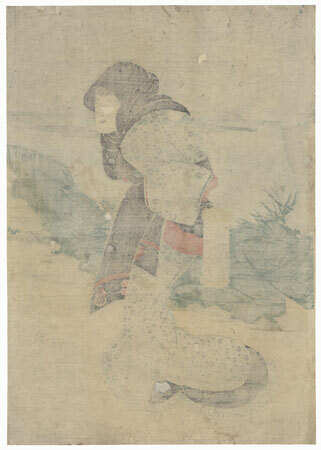 Early Edo Woodblocks - Handsome design from a group of early Edo era woodblocks by 18th and 19th century master artists such as Hokusai, Eizan, Eisen, Toyokuni I, and others. 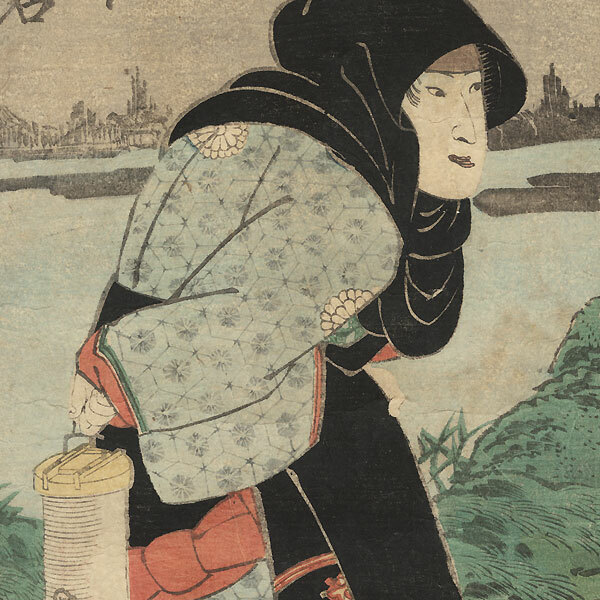 This terrific selection of illustrations includes beauties, kabuki portraits, and scenes from everyday life, depicting traditional tales and novels, as well as the new "floating world," in wonderful detail. 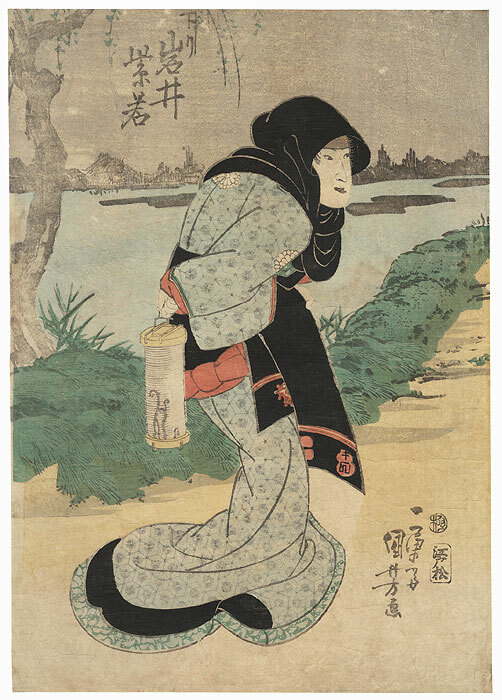 This is a terrific offering of classic, early designs, and a wonderful opportunity to add a work by a renowned ukiyo-e artist to any collection. Image Size - 14 1/8" x 10"
Condition - This print with excellent detail as shown. A few holes, repaired. Slight toning, soiling and creasing, a few lightly rubbed spots and stains. Please see photos for details.